v17.2: Now sync your Loan Information to CLZ Cloud / Book Connect! Sync information about outstanding loans to the CLZ Cloud, directly visible in your CLZ Cloud viewer (just add the Loan columns to the list). 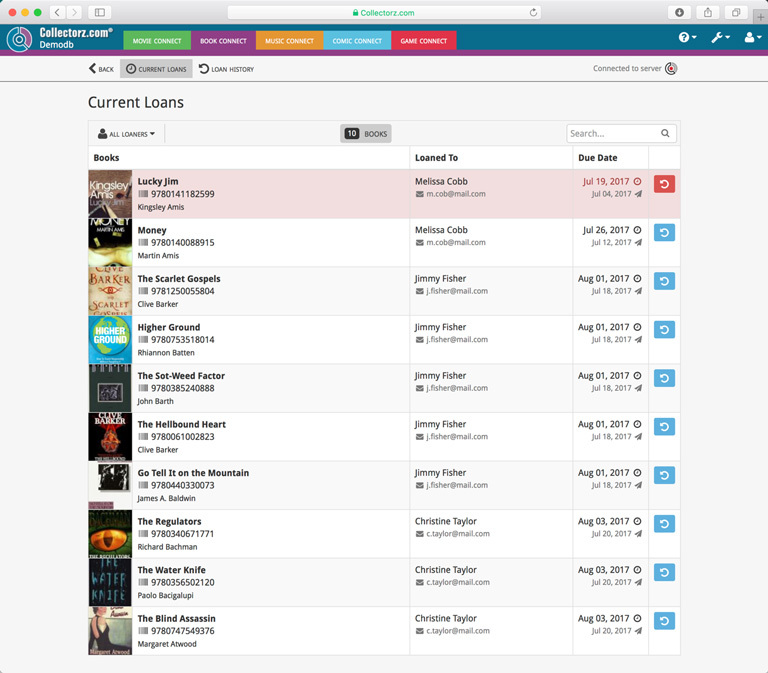 New in Book Connect: a really nice Loan Manager feature! Loan books and return books, by scanning their barcodes with CLZ Barry. 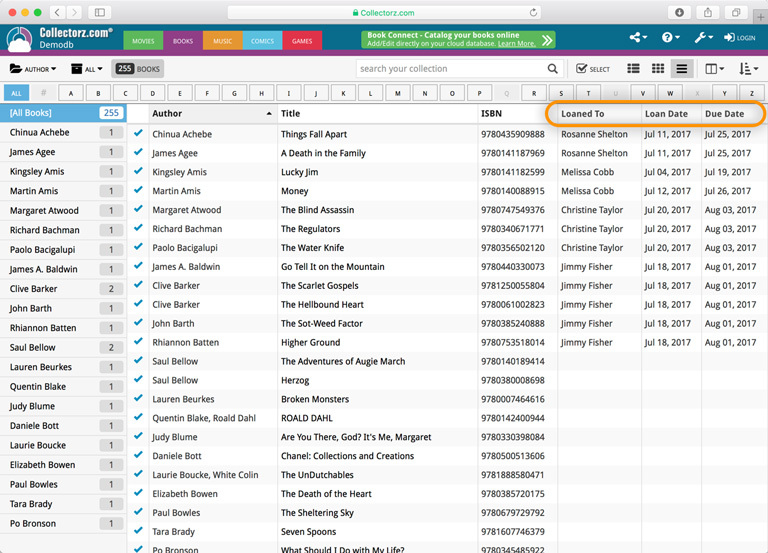 Add Books from Core: Search Results list is now loading/refreshing faster, especially for long lists. New option for CLZ Barry: Auto-Connect. When enabled, the built-in Buddy for Barry automatically connects to the server when you start the program or open the Add screen. The Expire Date of your Update Plan is now always visible in the lower right bottom of the main screen.